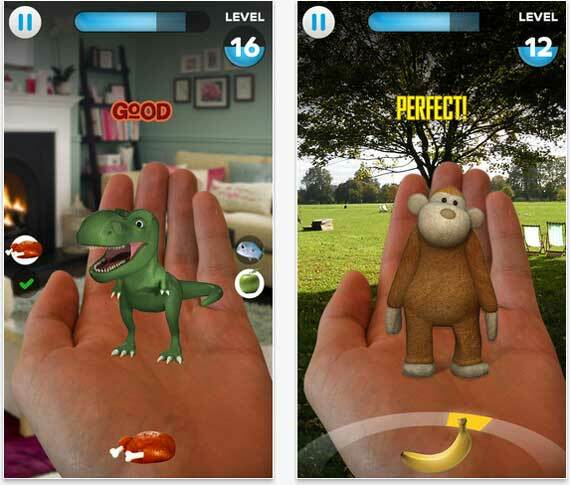 Using Augmented Reality, Toys Unleashed places three adorable toys to play with in the palm of your hand. You can play with Mr B the monkey, where you have to aim bananas into the monkey’s hand. You can feed different types of food to Chomp the dinosaur. And you can protect Mike the robot from attacking UFOs. The games seem pretty simple, but they’re trickier than they look!